If you have ever dreamed of a day of fishing in Mosquito Lagoon, you have come to the right place! 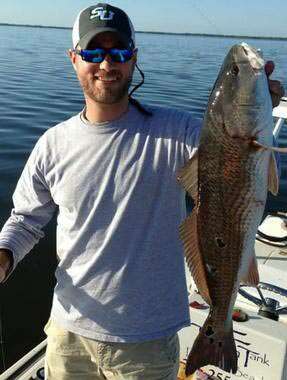 Fishing Charters in Mosquito Lagoon are a specialty of Captain Gary with East Fla fishing charters. With more than 30 years of experience navigating the light tackle fishing paradise of Mosquito Lagoon, Captain Gary will give you a day of fishing you won’t soon forget. During your Mosquito Lagoon fishing trip, you will learn how, where and when to catch a variety of fish including Snapper, Grouper, Tarpon, Cobia and Speckled Trout. For up to date information, view our Mosquito Lagoon Fishing Report. Pricing begins at $350 for 2 people. Additional people may be added to fishing charters in Mosquito Lagoon for $50 per person. Complete pricing options.